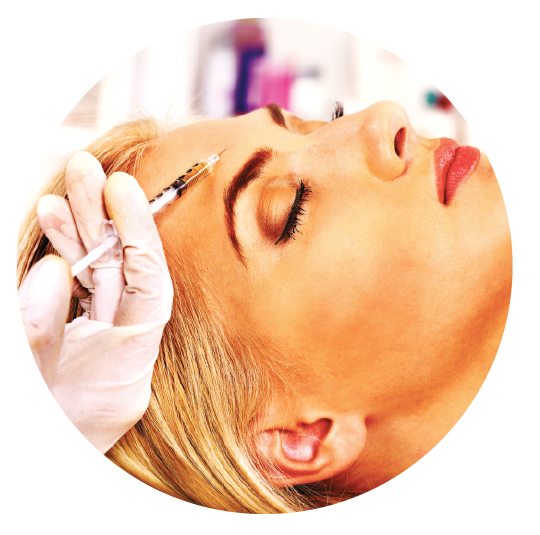 In 2015, over 6.7 million botulinum toxin type A (BTX-A)-mediated aesthetic interventions were performed1, making it the most frequently delivered minimally-invasive cosmetic procedure. For aesthetic medical use, the United States Food and Drug Administration (FDA) approved BTX-A for the treatment of glabella lines and lateral canthal rhytides2; it is also approved in Australia and New Zealand as a neuromodulator for the treatment of crow’s feet, glabellar and forehead lines3,4,5. BTX-A formulations commonly employed for such procedures include abobotulinum toxin A (Dysport/Azzalure, Ipsen Ltd, Berkshire, UK), incobotulinumtoxinA (Xeomin®/Bocouture®, Merz Pharmaceuticals GmbH, Frankfurt, Germany), and onabotulinumtoxinA (Botox/Vistabel, Allergan Inc., Irvine, CA, USA). However, each neurotoxin formulation is different due to varying manufacturing processes. These unique properties and characteristics mean that different neurotoxins must not be used in an interchangeable manner2. Importantly, incobotulinumtoxinA contains the same neurotoxin compound as other commercial BTX-A products; however, unlike those other products, it is purified during manufacturing to remove non-active complexing proteins6,7, which have not been proven to be either functional or necessary8. Despite many peer-reviewed publications and at least 19 clinical trials providing evidence for the safe, effective and long-lasting aesthetic effects of BTX-A when used correctly9–15, widespread misinformation and misconceptions persist. Pre-clinical and clinical studies have shown equipotency between incobotulinum toxinA and onabotulinumtoxinA when given at the same doses, while longevity of effect, safety profiles and patient satisfaction of incobotulinumtoxinA in the treatment of blepharospasm16, cervical dystonia17, crow’s feet18 and glabellar frown lines6,19 were demonstrated to be non-inferior to onabotulinumtoxinA18. There was also no statistical significance in the incidence of eyelid ptosis and blurred vision between incobotulinumtoxinA and onabotulinumtoxinA16. Furthermore, unlike other toxins, incobotulinumtoxinA is stable at temperatures under 25°C when unopened and has the practical benefit of not requiring refrigeration once opened20–22. However, circumstantial accounts from clinicians in North America23 and the Asia-Pacific region suggest that physicians experience some variability in efficacy between different BTX-A formulations. This variability might have arisen due to the incorrect reconstitution of the product. The authors describe here the identification of misconceptions surrounding incobotulinumtoxinA and establish a consensus to address concerns regarding its safety and efficacy compared to other BTX-A formulations. The authors also provide practical recommendations for improving reconstitution practices among clinicians. A panel of practicing reconstructive and cosmetic physicians from Australia, New Zealand and the USA convened a meeting to understand current practices and identify common misconceptions on the aesthetic application of incobotulinumtoxinA among clinicians in the Asia-Pacific region. Peer-reviewed, scientific evidence was used to address and/or counter these misconceptions. Best clinical practice recommendations on longevity, efficacy and safety were then discussed and voted on to provide consensus. These recommendations were based on the published evidence and the combined clinical experience of the panel. To arrive at a consensus on a recommendation, it must have received unanimous agreement from all members of the panel. Non-agreement resulted in further discussion in order to refine the recommendation for consensus voting. The Experts unanimously agreed that resistance to the use of incobotulinumtoxinA in Australia was due to misconceptions including its perceived lack of efficacy and safety, and problems or mistakes made during its reconstitution (Table 1). Further discussions evaluated the published evidence in support of or against these misconceptions, in order to provide the framework for consensus and best practice recommendations. IncobotulinumtoxinA was thought to be less potent and have a shorter longevity of effect than onabotulinumtoxinA, with the former misconception resulting in the need to use increased doses of toxin in order to produce similar effects. IncobotulinumtoxinA was also thought to have a lower overall satisfaction among patients who had switched from onabotulinumtoxinA. Misconceptions on the longevity, potency or perceived benefits of Botox® and Dysport® also exist, regardless of evidence demonstrating efficacy and equipotency. Compared to onabotulinumtoxinA, incobotulinumtoxinA was thought to have increased capacity to spread to untargeted tissue areas adjacent to the intended treatment sites and also cause more local pain during injection. The Experts suggested that errors during reconstitution of incobotulinumtoxinA were common. This is largely due to not capturing the total quantity of lyophilized toxin available in the vial prior to injection, leading to suboptimal results. Consensus statement 6. Recommendations for reconstitution of incobotulinumtoxinA should be revised to encourage doctors to inject saline into the toxin vial while it is held upside down, to ensure that the saline collects toxin particles around the cap and dissolves any residual powder, before gently rotating the vial. IncobotulinumtoxinA and onabotulinumtoxinA are both recommended for the treatment of glabellar frown lines at a standard dose of 20 U for both toxins16, 17 with the median onset of treatment effect for either toxin shown to be 5 days8. However, the perception of the lack of potency of effect with some BTX-A formulations emerged because of the different methods by which biological potency is measured. While assays such as the LD50 assay are accepted as a standardized measure of potency for these toxins, the results from experimentation on one toxin cannot be applied to another due to significant variations in purification and production methodology used by different manufacturers16, 24. In one comparative analysis, no difference in mean potency between five random batches of onabotulinumtoxinA versus incobotulinumtoxinA was detected (103.1 ± 6.5 MU for onabotulinumtoxinA and 101.7 ± 6.2 MU for incobotulinumtoxinA; two-tailed t-test, p=0.73). While the authors concluded that a 1:1 conversion ratio could be used to compare the two toxins, it must be noted that the batch release method was used, which is specific only to incobotulinumtoxinA24. In a prospective, randomized, double-blinded, parallel group investigation on the treatment of glabellar frown lines, the dose equivalence of incobotulinumtoxinA and onabotulinumtoxinA were evaluated. 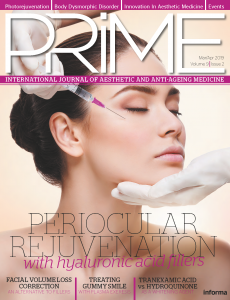 The toxins were found to be clinically equivalent when used at a dose of 20 U, delivered in 0.1 mL aliquots (total of 0.5 mL) at five injection points and subsequently rated by independent physicians using the Facial Wrinkle Scale (FWS) at maximum frown. Both agents achieved the primary efficacy variable of ≥1-point improvement on this scale and had similar longevity response rates, as established by independent masked raters evaluating the median duration of response22. When tested on glabellar frown lines at a 1:1.5 dose conversion ratio (20 U of onabotulinumtoxinA versus 30 U of incobotulinumtoxinA), even a 50% higher dose of onabotulinumtoxinA, resulted in the same clinical effect (i.e. the number of responders achieving the primary efficacy variable defined above) at 4 weeks, 4 months and 6 months after treatment. Thus, increasing the dose of onabotulinumtoxinA does not lead to superior results25. Physicians using published dose conversion ratios must, therefore, consider the robustness and accuracy of methodology within their chosen reference publication. In an equipotency analysis, the glabellar frown lines of 381 patients were treated with 24 U of either incobotulinumtoxinA or onabotulinumtoxinA, delivered in a total of 0.6 mL over five injections7. The clinical effect (as previously defined) was assessed at weeks 4 and 12, and high and similar response rates were observed in both treatment groups (96.4% and 95.7% for incobotulinumtoxinA and onabotulinumtoxinA, respectively at 4 weeks). A randomized, rater-blinded study for crow’s feet using a 1:1 ratio21, 26 and non-inferiority studies for blepharospasm19 and cervical dystonia20 also demonstrated equal efficacy with either incobotulinumtoxinA and onabotulinumtoxinA when used at similar doses. A meta-analysis of two phase III studies on incobotulinumtoxinA and onabotulinumtoxinA use in blepharospasm and cervical dystonia demonstrated no difference in either toxin’s probability of response over time, duration of effect and waning of effect8. Therefore, the evidence suggests that there is no significant difference between the longevity of effect for incobotulinumtoxinA and onabotulinumtoxinA. Legitimate concerns on the unintended spreading of BTX-A preparations beyond the treatment site are due to the potential risks of serious complications including eyelid ptosis and blurred vision16, 27. Randomized studies on BTX-A preparations injected on contralateral sides of the forehead in doses of equivalent efficacy (incobotulinumtoxinA [5 U], onabotulinumtoxinA [5 U] or abobotulinumtoxinA [12.5 U]) resulted in comparable results between incobotulinumtoxinA and onabotulinumtoxinA, whereas abobotulinumtoxinA spread more widely as assessed by the area of post-injection anhidrosis26. As there was no difference in adverse events between incobotulinumtoxinA and onabotulinumtoxinA, the presence of complexing proteins is therefore not thought to influence toxin spread26,27. In addition, long-term data on the treatment of glabellar frown lines with repeated doses of incobotulinumtoxinA (8 cycles of toxin over 2 years) showed that eyelid ptosis occurred in only 0.3% of subjects28. These results are consistent with other published data showing that incobotulinumtoxinA exhibits a similar safety profile (type and frequency of adverse events) to onabotulinumtoxinA7,8,19-22. In the previous blepharospasm treatment study19, subjects were initially treated twice with an effective dose of Botox®, and half were subsequently switched to Xeomin® at a third treatment cycle. No statistical significance in potency, longevity or incidence of eyelid ptosis or diplopia was observed between the smaller, 150 kD toxin in Xeomin® and the larger, 900 kD toxin in Botox®. 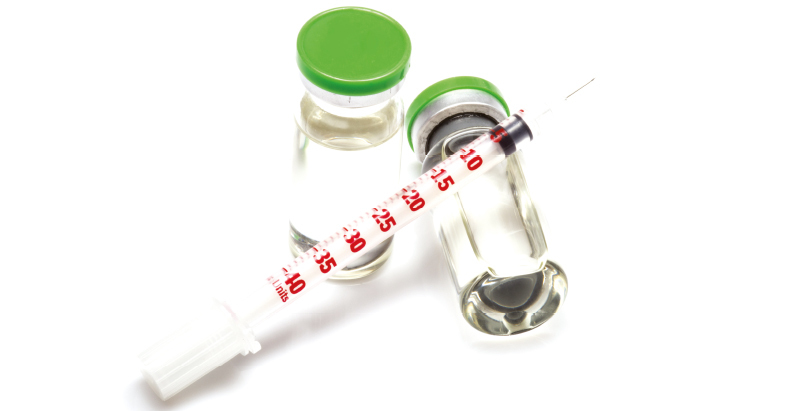 Injection pain is affected largely by the nature of the injection diluent, the volume and speed of the injection, the needle gauge and the injector’s technique. There has been no reported difference in the incidence of aesthetic injection site pain attributable to any of these factors in clinical trials of incobotulinumtoxinA and onabotulinumtoxinA7, 21, 22, 26. Evidence provided by clinical studies, therefore, indicate that the incidence (or increase in incidence) of adverse events due to incobotulinumtoxinA are unsubstantiated and are not due to neurotoxin use, or more specifically, to incobotulinumtoxinA injection. 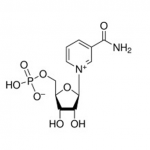 Incorrect reconstitution may cause inadequate dissolution of the lyophilized incobotulinumtoxinA toxin powder and have inadvertently led to misconceptions of lack of longevity and potency23. A study on the physical presentation of incobotulinumtoxinA showed that it can disperse around the surface of its vial during shipping even though it is shipped as a compressed disc resting at the bottom. This can cause large quantities of toxin powder to accumulate in areas of the vial (e.g. around the inside of the rubber cap), that are not easy to reconstitute. Five vials o f incobotulinumtoxinA that had each undergone one round of reconstitution were injected with saline again to repeat the process. Patients injected with this saline had a significantly reduced ability to achieve maximal frown, a clinical effect that was absent in patients injected with residual saline from properly reconstituted vials. Current manufacturer’s instructions for the correct reconstitution of incobotulinumtoxinA (Figure 1) should be revised in order to clearly depict inverting the vial during reconstitution (Figure 2). Saline must then be injected upwards through the rubber cap, and the vial rotated repeatedly to ensure that the liquid reaches all surfaces of the vial and rubber cap to ensure complete reconstitution. The need to gently invert the vial must be emphasised because when reconstituting some other BTX-A products the cap is removed prior to reconstitution29. This evidence, therefore, indicates that the incorrect reconstitution of incobotulinumtoxinA may have led to unproven, circumstantial reports that the efficacy of incobotulinumtoxinA is different to that of onabotulinumtoxinA. Patient and physician expectations of treatment outcomes may not correspond due to inconsistent ideas of what is considered effective. In one previously-mentioned clinical study comparing incobotulinumtoxinA to onabotulinumtoxinA for glabellar frown lines22, over 90% of patients in both groups were assessed as slightly satisfied to extremely satisfied, even at 4 months after treatment. Another previously-mentioned study also found no significant difference in patients’ self-assessment of treatment success between groups treated with incobotulinumtoxinA or onabotulinumtoxinA, with a treatment response rate of 93.5% vs 92.5% or 85.4% vs 85.2, respectively7. Knowledge of the characteristics and effects of incobotulinumtoxinA is a key influencer on overall patient satisfaction. Patients being switched from onabotulinumtoxinA should be told that incobotulinumtoxinA contains the same neurotoxin, with comparable clinical efficacy as measured by both physicians and patients. Although Australians place great importance on the concept of purity, once accustomed to a particular botulinum toxin (whether or not they are current users), they are unlikely to change or upgrade formulations, regardless of the arrival of newer, more persuasive and consistent evidence. Patients should be informed of the potential advantage of incobotulinumtoxinA over similar aesthetic toxins, due to its purity and much lower risk of immunogenicity19, 30, 31. Patients who anticipate having repeated aesthetic toxin treatments at a later date should also be aware that the use of immunogenic toxins can cause antibody production and treatment failure32. Many other contributing factors perpetuate the incorrect perceptions and understandings of incobotulinumtoxinA use worldwide. The Experts stated that in Europe, these opinions originate from physicians who indicate that real-world evidence and real-life physician experience are more relevant, immediately-applicable and more impactful to their clinical practice than peer-reviewed results from published clinical trials. Resistance to the adoption of incobotulinumtoxinA may also be due partly to physicians already being accustomed to their current toxin. It may also be due to a lack of financial incentive at practices that purchase only small quantities of toxin, and that might require additional training of nurses who do not receive additional financial compensation or incentive. Similarly, physicians in Singapore state that what they see in real-life practice with incobotulinumtoxinA was not comparable to other commercial toxins in terms of potency and longevity, especially in the treatment of upper forehead lines. IncobotulinumtoxinA studies only focus on glabellar frown line and crow’s feet. These studies do not explore their area of complaint, the upper forehead lines, for which incobotulinumtoxinA has yet to be approved in the Asia-Pacific region, further highlighting discrepancies in the consistency of scientific understanding. In Asian patients, anecdotal reports state that incobotulinumtoxinA is less effective in the masseter. These reports are also likely due to the use of an incorrect dose, reconstitution errors, injections being too shallow and toxin not being dispensed along the masseter. It is, therefore, necessary for injectors to learn proper injection technique and dosing. 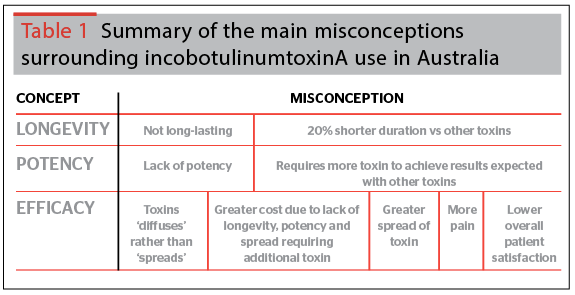 Misconceptions around the use of incobotulinumtoxinA in Australia are largely the result of errors in the reconstitution of the product and incorrect understandings on the differences between potency and longevity. However, many peer-reviewed pre-clinical and clinical studies have conclusively demonstrated that incobotulinumtoxinA has equivalent efficacy, potency, longevity and safety profiles to onabotulinumtoxinA. Importantly, its high purity and lack of complexing proteins drastically minimizes the potential for immune responses that can cause subsequent treatment failure, and so provides patient benefits that are nonexistent in some other aesthetic botulinum toxin products. 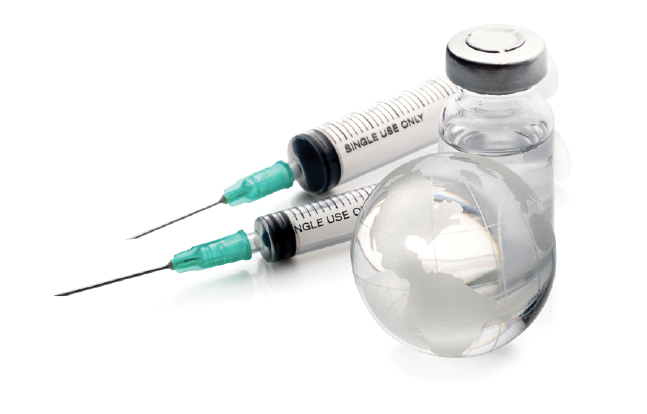 Physicians in Australia are advised to consider the consensus statements and evidence presented here alongside their patient treatment goals in their choice of botulinum toxin. Declaration of interest Niamh Corduff is a consultant for MERZ Asia Pacific and Australia. Michael Kane has served as an investigator for Medicis; Revance Therapeutics, Inc.; Coapt (Chicago, IL); Teoxane (Genève, Switzerland); and Kythera (Dublin, Ireland). He is a consultant for Allergan plc; Mentor (Santa Barbara, CA); Medicis; Sanofi-Aventis (Paris, France); Revance Therapeutics, Inc.; Galderma (Lausanne, Switzerland); Johnson & Johnson (New Brunswick, NJ); QMed (Santa Monica, CA); Canfield (Fairfield, NJ); Coapt; Merz; Kythera; Beiersdorf (Hamburg, Germany); and Lithera, and serves on speakers’ bureaus for Allergan plc; Mentor; Medicis; Sanofi-Aventis; Revance Therapeutics, Inc.; QMed; and Merz. Dr Kane also serves on advisory boards for Allergan plc; Mentor; Medicis; Sanofi-Aventis; Stiefel; and Revance Therapeutics, Inc.; has received honoraria from Allergan plc; Medicis; and QMed; and owns stock in Allergan plc and Medicis. 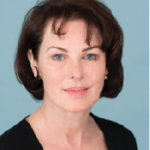 Mary Dingley is a trainer for Merz and Mondeal Aesthetics, and former trainer for Allergan and Galderma. Joanna Romanowska is a trainer for NZMS/MERZ in cosmetic procedures in New Zealand. Adam Rish is a consultant for MERZ Asia Pacific and Australia. Ronald Feiner is on the Merz Training Panel (Australia). Merz Asia Pacific sponsored the preparation of this manuscript and the Article Processing Charge. New Statistics Reflect the Changing Face of Plastic Surgery: American Society of Plastic Surgeons Releases Report Showing Shift in Procedures. https://www.plasticsurgery.org/news/press-releases/new-statistics-reflect-the-changing-face-of-plastic-surgery. Accessed 8 Dec 2016. Lorenc ZP, Smith S, Nestor M, Nelson D, Moradi A. Understanding the functional anatomy of the frontalis and glabellar complex for optimal aesthetic botulinumtoxin type A therapy. Aesthetic Plast Surg. 2013 Oct;37(5):975-83. Gubanova EI, Panova OS, Sanchez EA, Rodina MY, Starovatova PA. Efficacy and safety of IncobotulinumtoxinA for the treatment of platysmal bands of the aging neck: an open-label, prospective pilot study. J Drugs Dermatol. 2013Dec;12(12):1461-6.